All DNS request are cached on our computer. The DNS cache includes IP address / location of websites and their name resolution. If any site has recently changed its IP or nameserver address, you may not be able to open that site. Sometimes, newly registered domains are also not accessible. In such cases you need to clear / flush DNS cache stored on your computer. 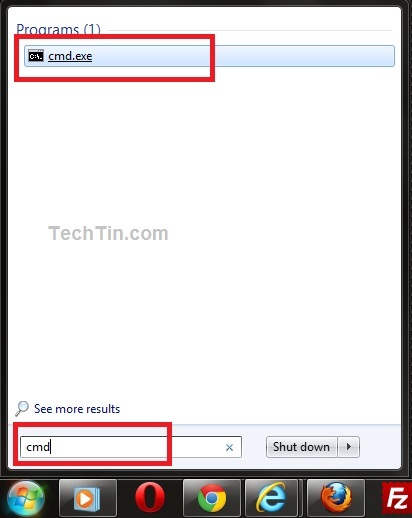 Click Start button and then type cmd in the Start Search box. In the search results list, click Command Prompt / cmd. In command prompt type following command and press enter key. DNS cache on your computer will be cleared. Windows will show you following success message. Type following command and press Enter / Return key.